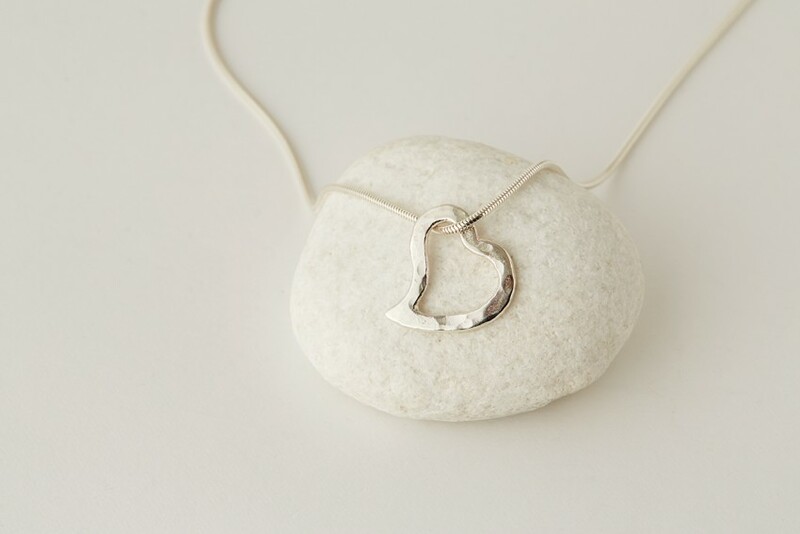 Hammered Heart in Recycled Silver comes with a 16inch snake chain. The width of the heart is approximately 28mm. All pendants are made by hand on receipt of your order. Pendants can take a minimum of 2 weeks to make.